One thing I absolutely love about Rouge Coco Shine is the slick compact tube. Does a lipstick tube need to be bigger than this? I think not. Viva is a medium-toned fuchsia with fine silver shimmer. Being a Rouge Coco Shine, it is quite sheer but appears more pigmented compared to other Rouge Coco Shines. On my lips, Viva is a beautiful and wearable deep pink with red and purple undertones. The shimmer does not translate very well only adding some faint sheen and volumizing effects to the lips, which is the way I prefer. This lip swatch was made with single swipes, but you can certainly build up the intensity with Viva. Rouge Coco Shine goes on smoothly with pleasant slip on application and feels hydrating initially, but eventually dries out my lips a little bit. It is a pity that I can't say Viva is an exception. I need to prep my lips to wear Viva to its full potential. 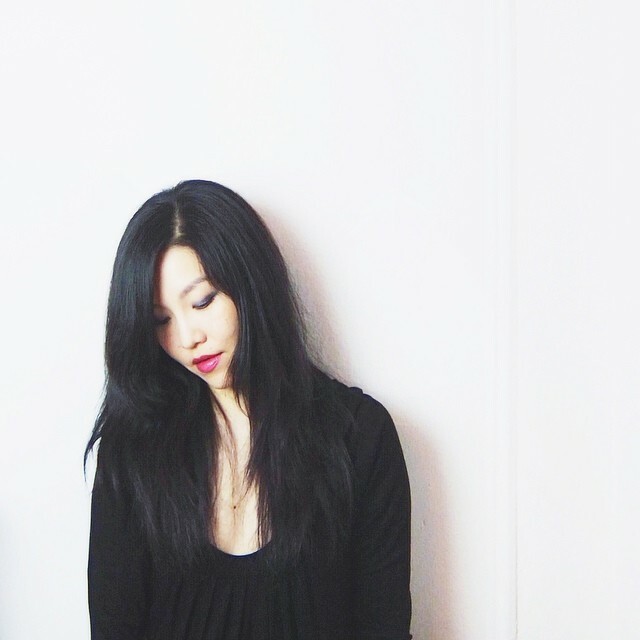 I do adore this fuchsia lipstick that is perfect for fall. It sure is vibrant but possesses the calm and sophisticated quality that is quite different from a juicy summer fuchsia like NARS Priscilla (reviewed), for example. Viva would work so well with moody smoky eyes that I often sport in the cooler months (all year round). 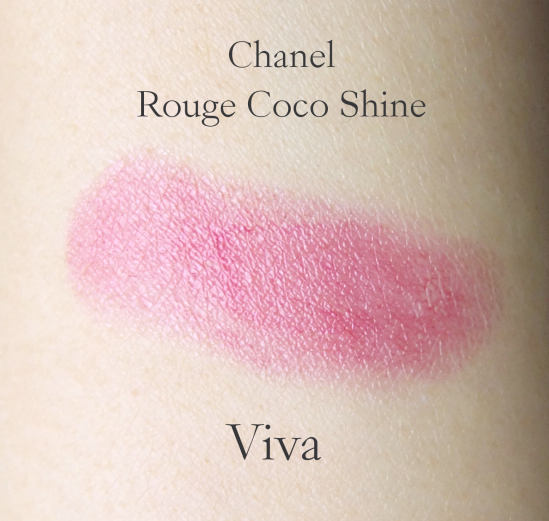 I've recently featured Chanel Rouge Coco Shine Viva in the Chanel Tissé Rivoli Quadra review if you're interested in seeing the color in context. You can see how Viva looks from afar in the picture below as well. Ok, you make me want Viva even more!!! Looks gorgeous on you :-) Totally agree on the size of the RCS tube!! So sleek and who needs a huge tube of lipstick anyway lol! You should get one, Gummy! ;D It thought it might look gaudy since it has silvery shimmer, but no, it is quite a grown-up shade and wearable. 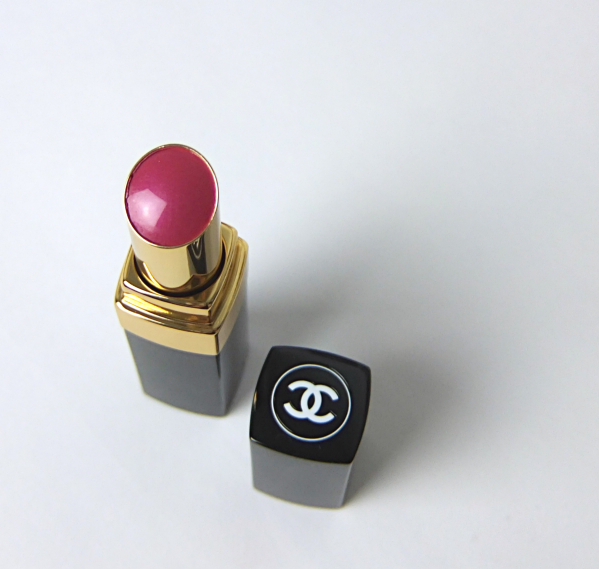 This is a gorgeous lipstick shade! I love Chanel blushes as well. Eeee, Lena, you are so pretty :) Viva is not quite my kind of color (I think the beautiful undertones wash out my yellow skin, haha), but it does speak of autumnal jewel tones and I love it on you! Hey Lena, I think I just left a comment but maybe I did something wrong! Anyways, what a gorgeous gorgeous shade this is! I can't wait to try it on! I agree with you: it's definitely not just for autumn. I was drawn to the neutral shades from the collection as well, but it had to be Viva. This is one of the best fuchsia I've tried. Wish the formula agreed with me a little better, though. I haven't tried the YSL candy balms but they sure look juicy and easy to wear anytime. That's a Lena colour for sure! So gorgeous on you! I said it before and I'll say it again. You're a queen of pinks! This one looks great on you. I only have one Coco Shine, and it's Liberte. It's very easy to wear, mostly because it's sheer, but I like corals, so there :-) Not terribly impressed with the formula though. Oh wow, the color is exactly what I LOVE in terms of bolder shades! Love fuchsia and blue toned pinks! 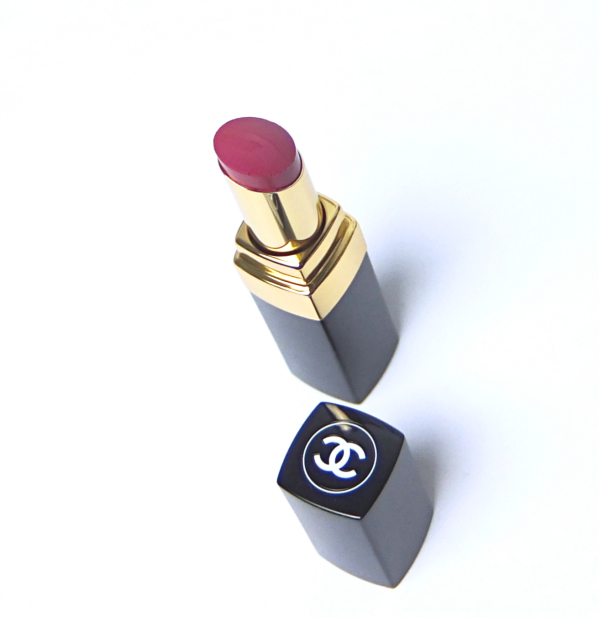 I don't own any chanel lip products but I'd love to have a sheer one like this from them! Wow, you look so pretty in that photo. I always do love your Instagram posts! You made me smile. Yeah, Chanel has that kind of powder. Lately, though, I think the brand is more about the unique colors and the lux image than the quality itself. I can't get on board with Coco Shines yet, but I do like the darker shade in this collection. Agree, berry lips are great all year! It time to get another trim. Too much hair. LOL. oooh i need this in my life! $52??! That is insane. $35 is already bad! It looks really nice. I agree with you on the sophisticated side of the color. I just got a lipstick from wet and wild I think (something super cheap) in similar shade in matte. I was surprised how much I liked it.